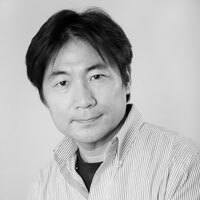 Kenji Suzuki, associate professor of electrical and computer engineering at Armour College of Engineering, chaired the Eighth International Workshop on Machine Learning in Medical Imaging (MLMI). The MLMI conference is considered the top conference in the field. The first MLMI workshop was held in Beijing in 2010, in conjunction with the Medical Image Computing and Computer Assisted Interventions (MICCAI) conference. This workshop was the first of its kind. As machine learning plays an essential role in medical imaging, it became the most promising, rapidly-growing field. The Eighth MLMI workshop finished successfully with high-quality research presentations and a large audience. The proceedings were published in a volume in Springer’s famous Lecture Notes in Computer Science series.